In today’s post, we’re going to take a look at how you can capture the special moments that happen during a baptism so you’ll never forget them. It can be a difficult skill to master, but with a bit of practice and some of our helpful advice, you’ll be on your way to fantastic photos in no time. In many ways, event photography is very similar to the popular artistic genre of street photography. In street photography, the photographer carries a camera at all times in the hope of capturing the special and unexpected moments that happen every day in life when strangers meet, the interactions between people and the world around them that add little bits of charm and spice to life. While photographing a baptism isn’t quite the same as street photography, there are a lot of important similarities. Probably the most essential skill for a great photograph is timing, and in a ceremony (as in the rest of life) you rarely get a second chance if you miss the first opportunity. Events like baptism and christening ceremonies are constantly filled with powerful and appealing moments, let’s take a look at how you can hone your sense of timing. One of the most famous artists from the early days of photography is the French photographer Henri Cartier-Bresson, and his work is arguably the very first example of the genre of street photography. His most impressive skill was the ability to recognize and capture the ‘decisive moment’, as he called it, the split second when action and interaction are at their most potent. Entire stories can be spun from a single good photo of a decisive moment, and that’s what a good event photographer needs to practice. As one of the first photographers to adopt the use of 35mm film, Cartier-Bresson was a pioneer of film photography in his time, but he probably would have absolutely loved using the burst mode setting on a modern DSLR camera. You never get a chance to rewind life, and since you probably won’t get a second chance to capture a decisive moment during a baptism, using your camera’s burst mode is a great way to ensure that you don’t miss the action or a single decisive moment. To get the most out of your burst mode, it’s important to make sure that you have a fast high-capacity memory card or you’ll find yourself running out of space for more photos very quickly. Most modern cameras support a burst mode of somewhere between 4 and 7 photos, which can mean that you’ll suddenly be using 7 times as much memory card space as you’re used to. Most cameras made in the last few years can accept memory cards of at least 8 GB, and some can even handle cards of up to 64 or 128 GB, but even if your camera only supports 8GB cards you can keep several in your pocket, ready to change whenever you need additional space. Cartier-Bresson once said, “To me, photography is the simultaneous recognition, in a fraction of a second, of the significance of an event.” Fortunately for those of you photographing a baptism, it’s possible to get a general idea of how the ceremony will be progressing. Of course, the fact that you know the plan of the ceremony doesn’t mean that’s all you should pay attention to. 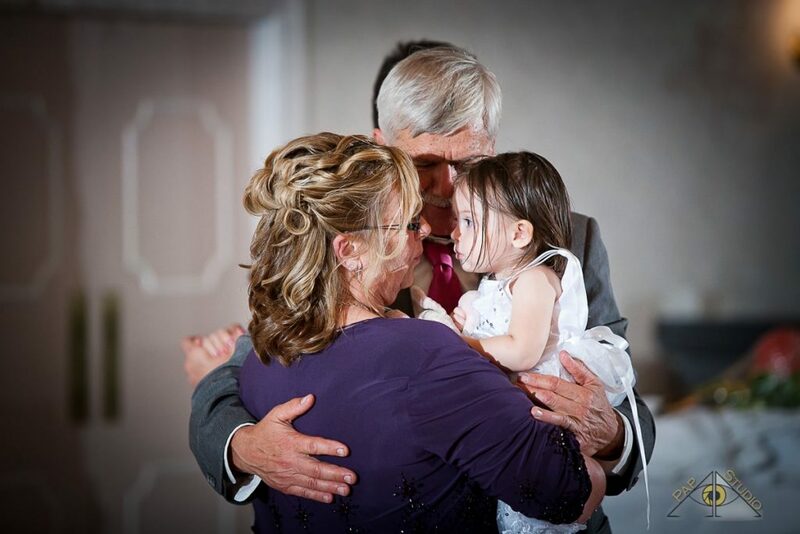 A lot of the most touching and emotional moments will be spontaneous and totally unexpected – a shared look between the parents, a pair of clasped hands, a tear of joy – all of these can be powerful photographs that make your photography a success. We’ve discussed the various lens options that you have for shooting baptisms in previous posts, but this article makes a great case for the necessity of having multiple lenses ready for use – or for shooting with a zoom lens. Zoom lenses offer the most flexibility when it comes to focal lengths, and can be the difference between a great shot and having a decisive moment fade into the background in a larger scene. Showing emotional interactions in the larger context of the event can be useful, but only if that was your intent all along – otherwise, it can simply feel like a missed opportunity. Aside from your technical equipment, it’s important to learn as much as you can about the baptism you’ll be photographing: visit the event space to scout out great angles in advance, speak to the people who will be attending (if you don’t already know them) and learn about their relationships to spot potential interactions before they happen, and if possible, discuss the particulars of the ceremony with the officiating priests and family members. Finally, once the event has actually started, be sure that you circle throughout the space as much as possible to ensure that no special moments are missed. Obviously, you have to balance this carefully against the official schedule of events because you don’t want to miss the crucial moments while looking at the crowd, but don’t be so focused on the ceremony itself that you miss the reactions and interactions of the attendees. Of course, you also have to ensure that you don’t disrupt the ceremony while you’re in search of the perfect shot! Always be respectful and practice learning how to spot the right moments for photographs – discretion and politeness are an important part of being a successful photographer! If you’re looking for some more discussion of the ‘decisive moment’ and how you can make the best use of it in your photography, feel free to contact me for some additional personalized consultation. I can be reached at arpi@papstudio.com or by calling 801-938-5513.